Do you ever feel like your goals, desires and dreams are being blocked? It may feel as though someone is standing in front of you, not allowing you to pass. Sometimes our own thoughts can block what we want from coming to us, especially if the thought is surrounded by negativity such as; pushing, manipulating, controlling, I need to have it now or I will just give up mentality. When I am feeling blocked, I ask myself how I’m in my own way and I allow things to start and end as they are suppose to. I don’t bully people into making it happen for me, I don’t try to control how I think it should be or look, I just let it be what it needs to be. Often, it is so much better than I could have ever envisioned. When you release the attachment, and have trust, what is meant to be will start coming to you in absolute abundance. I believe with all my heart that if you ask, you shall receive. It starts with asking for what you want, being clear about why you want it, and being patient. 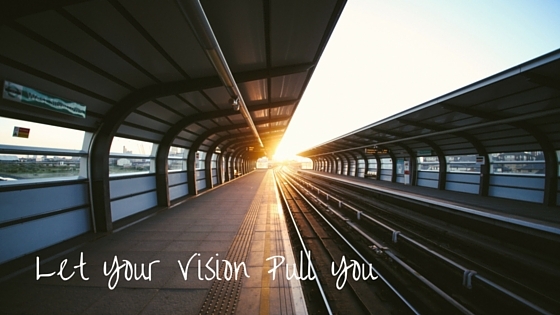 Another thing that blocks us from achieving what we want is not having a life vision that inspires us. Becoming very clear about what you want and why it is so important to you becomes your purpose, your inspiration, your guidance system, and your daily motivation. It becomes the thing that makes you want to jump out of bed every single day to achieve it, even if you have fear. Your vision becomes the fire. The how doesn’t matter yet. That will come. You become what you think, what you dream and what you envision for your life. You can’t take action towards achieving the life that you want without knowing what it is that you want. How can you get to where you want to go if you don’t know where you are even going? It’s like following a map that has no roads. Every vision you write down is like adding a new road to the map. With each road, your inner compass will always point you in the right direction. And remember, if what you asked for isn’t coming, it might be because the universe has something bigger and better planned for you. ← For The Love of Tomatoes!